California state senator Bill Dodd, D-Napa, and assemblymember Adam Gray, D-Merced, have announced plans for a joint oversight hearing on horse racing safety. The duo also announced the introduction of new legislation to authorize the California Horse Racing Board (CHRB) to promptly suspend racing if dangerous conditions exist. The hearing “will include testimony from expert witnesses highlighting the steps the industry and regulators have already taken to improve safety as well as exploring areas where more needs to be done,” according to a press release from Dodd’s office. 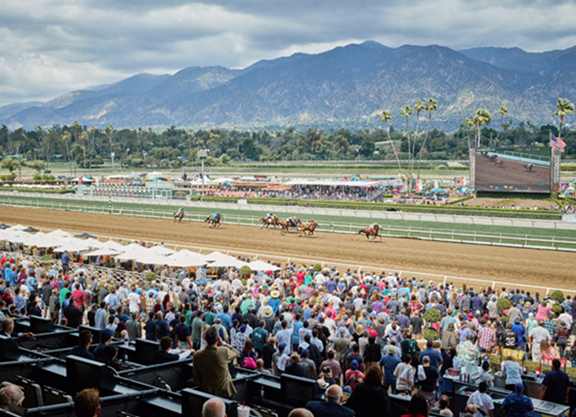 Dodd and Gray met with California Horse Racing Board head Chuck Winner weeks ago to discuss steps that could be taken to improve safety at Santa Anita. When it comes to the joint oversight hearing, which is between the state senate and assembly, specifics are light. 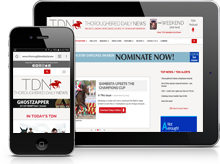 In an email to TDN, a spokesman for Sen. Dodd wrote that the agenda is currently being developed for the possible speakers at the hearing, which “should include” regulators, veterinary experts and industry people. The hearing is expected to be scheduled sometime in the second week of May, he said. According to the spokesman, Dodd has spoken with industry stakeholders as well as state regulators about other horse racing-related issues like safety. “And we’ll be working collaboratively to see what can be accomplished administratively as well as what items like emergency race delays might require legislative action,” the spokesman wrote. “Broadly, the senator appreciates that the board and track are taking the issue seriously and have taken steps to demonstrate that. The hearing will help him determine if there are additional steps that should be taken,” the spokesman wrote. As to what those steps might include, “we won’t speculate or pre-suppose what steps should be taken. That’s the goal of the hearing,” the spokesman replied. SB 469, which is scheduled for its first hearing Apr. 23, is also co-authored by Sen. Susan Rubio, D-Baldwin Park, and assemblymember Ed Chau, D-Arcadia, whose districts include Santa Anita. When it comes to the racing calendar, the board has the authority to transfer race dates from one track to another track if it receives approval from both participating tracks. If the CHRB doesn’t receive approval from both tracks, then the board has the authority to unilaterally move race dates around, but only if it receives a race dates application which is subsequently posted for at least 10 days. If necessary, the board can hold an unscheduled board meeting at the end of those 10 days.